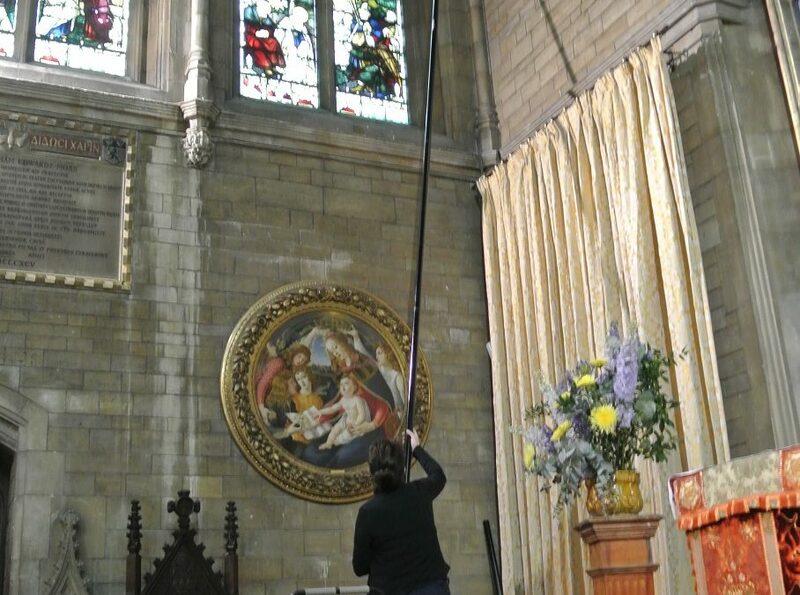 Spinaclean were recently asked to demonstrate the high reach internal SkyVac at Eton College, which resulted in masses of pesky hard to reach cob webs being vacuumed up. Health and Safety officer Dee Harper could instantly see the benefits of the product which would eliminate expensive scaffolding. The demo was carried out in the Lower Chapel where Paul Crosbie of Spinaclean met the Reverend Barry who was equally as excited by the SkyVac. We offer free internal SkyVac demonstrations anywhere in the UK, click here to tell us about your requirements.